The cable cut left Newburgh Heights resident and AT&T customer Willie Griffin without phone, internet, or cable service for over a week, and set the stage for a neighborhood dispute that eventually brought police to the scene. A reporter from WEWS-TV in Cleveland achieved a breakthrough after calm negotiations with Ron Quinones, who eventually allowed AT&T crews to restore phone and internet service. A police report claimed Quinones admitted to officers he intentionally caused the damage, and told police he was advised to do it by an unidentified utility worker. When AT&T crews initially arrived to repair the lines instead of replacing the utility pole, Quinones would not allow them on his property, claiming he feared for their safety and the safety of his garage. The utility pole owner, FirstEnergy, later conducted a full inspection and denied the pole was unsafe. 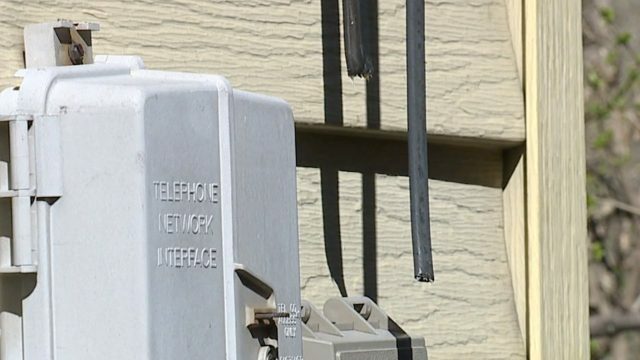 The cut cable was located at Griffin’s home where AT&T’s network interface box connected the overhead line with the home’s inside wiring. AT&T crews sought to replace the overhead drop line from the utility pole to Griffin’s home, which initially caused Quinones to object because the utility pole serving her home is behind his. After the dispute attracted coverage from Cleveland’s ABC affiliate, Quinones relented. “If the cable goes through and he can get it up there without damaging my property, I don’t have a problem with it,” Quinones told the station. 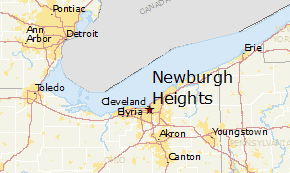 No charges appeared to be filed and the only formal rebuke seems to be a warning from both Newburgh Heights police and FirstEnergy advising residents that tampering with utility lines was unsafe and could result in criminal charges.